The day was the feast day of the Nativity of John the Baptist. The Gospel text is Zechariah’s song which is what the Baptist’s father said after his tongue was loosed. And what a good portion of that song amounts to is a job description of a prophet. What this sermon does is compare that description with the modern popular conception of a prophet. It then moves on to why one of those is just as important for us today as it was for ancient Israel. It then ends with a recent example of prophetic work according to the Baptist’s model. The world would like us to dismiss or make silly the prophet, the biblical definition is our daily bread. 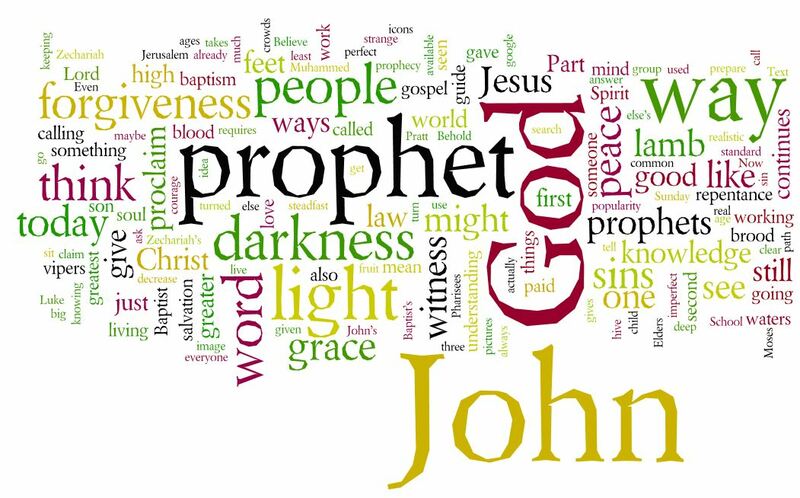 All of the canonical gospels have their own spirit, a spirit expressed often at the very beginning. 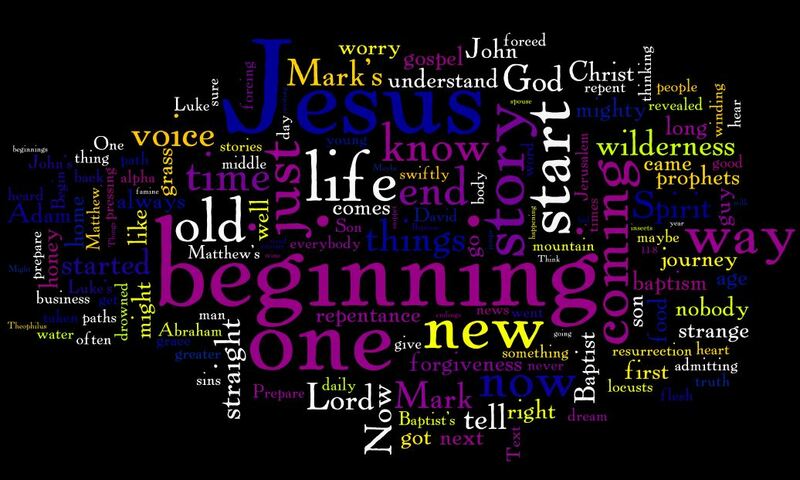 This is “year B” in our three year cycle of readings, so we are in the Gospel according the Mark. Mark’s spirit is one of immediacy, of now. It is a spirit of beginnings and ending. It relentlessly presses us with the oddness of the inbreaking kingdom. And with that very wonder and strangeness invites us to begin. To prepare the way. To make the paths straight. Now. Because you know not the time. The mighty one comes right behind, and all flesh will see the glory of the Lord. This sermon is a attempt to capture that strangeness, to experience the beginning of the gospel. To hear and fear the word to make straight the paths to our hearts. Worship note: I have left in two hymns. The one before the sermon and the one after. Both share a word – Hark! It is the call of the herald, the Baptist, listen! Important information follows. LSB 349, Hark the Glad Sound, I believe reflect the pure Gospel content of that message. The greater one comes bringing a baptism of the Spirit. A baptism that bursts the gates of brass, and make the iron fetters yield. LSB 345, Hark! A Thrilling Voice is Sounding, captures well the immediacy of the Hark and the pressure it puts on us. “Cast away the works of darkness, all you children of the day!” And that pressure it recognizes coming from its eschatology. “So when next he comes in glory, and the world is wrapped in fear…”. Two marvelous advent hymns that happen to have a couple of wonderful tunes as well. Look, America, we’ve got an anger and outrage problem. More specifically we’ve got a “righteous” anger problem. I don’t care who you are, you think that you are right, and that you deserve to choke the person who is wrong. If we can hear Jesus first teaching Peter directly and then everyone else through the parable, this is spiritually toxic. Forgive, 77 times, and if you can’t catch the drift that doesn’t mean you start counting. Yes, you might be right. Yes, maybe the issue you are being wronged on is costly. Doesn’t matter. We’ve been forgiven a millennium of debt through Jesus, and Jesus invites us into this proper work of mercy. Forgive your brother or sister. Put down the anger, especially the righteous anger. It is killing you, perhaps eternally. 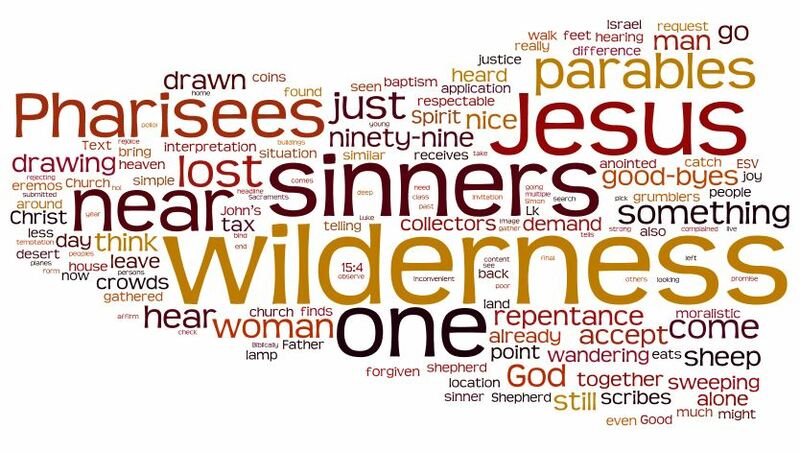 Matthew 18 is a section held together by a verbal theme. Children or little ones are present in each little snippet. The sermon attempts to paint a picture of Matthew having a store of stories that he can’t leave out, but that don’t exactly fit into the large narrative. What emerges for me I place under a comparsion of the son of man and the son of God. 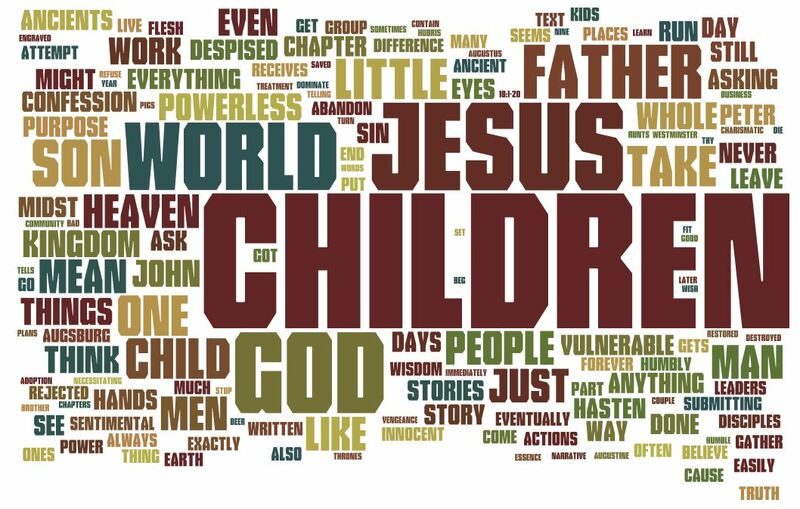 While the cross represents how we (mankind) treat the children/little ones, read as the powerless and vulnerable, the Father of Jesus treats his children much differently. Jesus endures our “Fatherhood”, such that we might have His Father. Experiencing the love of true Fatherhood, we are invited to be children of God, to live it out in our lives to others. In that sense it is a sermon about love. Worship note: I have left in the hymn after the sermon, LSB 686, Come Thou Fount of Every Blessing. 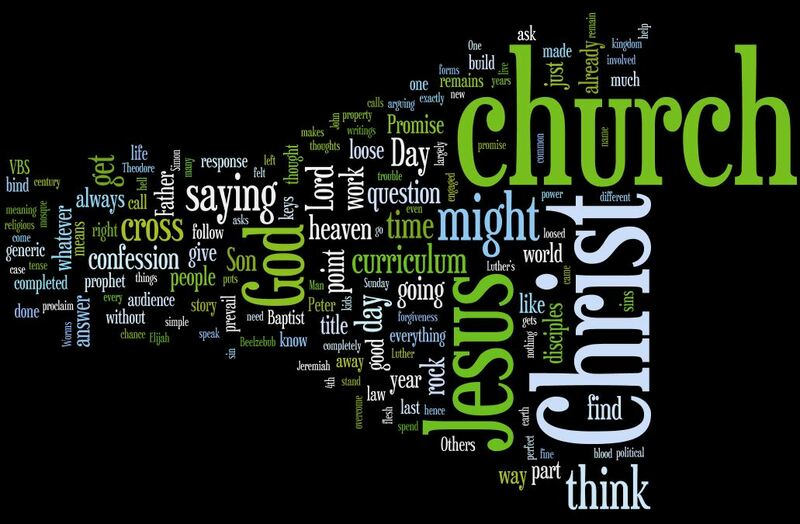 During the service I marveled at how well its text reflected what I was attempting to preach. It is something of a classic hymn, but if you asked me it is such less because of the text and more because of the hymn tune. I’m still humming it. This text in my reading is really about one thing, Jesus’ definition of the office of Christ and its work. To understand Christ and his work requires for things. This sermon is an exploration of those points and how those point all rest on the rock of confessing Christ and the cross. Worship Note: We lost a memory card, so this is a recording after the fact. Which means we lost the great music we had in church today. Great Day: LSB 609, 949, 645, 575. Moral? Come to church! This is typically the Thomas Sunday, but the first lesson from Acts just struck my imagination too well this year. Gamaliel’s tolerance and wisdom typically gets pride of place, but I think that discounts Saul in the background. The sermon attempts to tell both the foreground story of Peter preaching repentance to the High Priests who a month ago crucified Jesus and the background story of Saul (soon to be Paul) who wouldn’t listen to his teacher’s advice. The point of preaching, of Peter’s and of ours, is repentance and salvation. It is not justice or balancing the scales. It is not getting back at anyone. It is simply repent and believe. That repentance is a gift. It is part of faith. Caiaphas or Annas, the High Priest, heard the preaching and knew what was going on, but they did not repent. Saul, did not repent, yet. 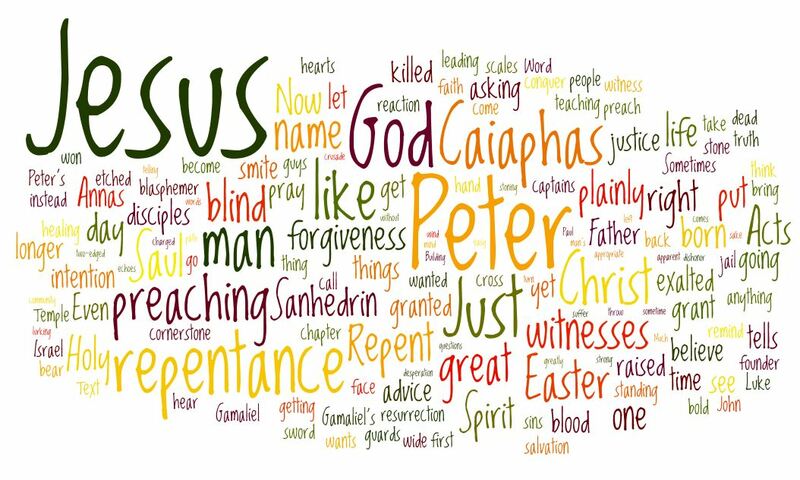 The call of those who have repented is to be witnesses to Easter. Pray for the repentance of the unbeliever while bearing the cross for those who won’t, yet. In this we witness to Easter and the Great Easter to come in the resurrection of all flesh. Congregationally we were saying good bye to beloved members. The day also had the national overtones of the 15th anniversary of 9/11. I might be wrong in this, but to me part of preaching is giving the hearers ways to understand or recognize the Kingdom of God in our midst, even in sad things, especially in sad things. The primary theme of the texts of the day was not perseverance. The primary theme was forgiveness. But there is a secondary theme that hints at perseverance in the Christian life. This sermon attempted to spotlight that secondary thread for the purpose of understanding the day. As with most days, the hymnody of the church is so much better than anything we say. Those hymns are sermons that meant so much to so many that they survived in some cases millennia and translation, in others simply centuries. Jesus Sinners Doth Receive was the Hymn of the Day on the primary theme, but I left in our final hymn. LSB 839, O Christ, Our True and Only Light. If one heard the message that we were attempting to speak, this hymn was a good and proper response. It reminds us that in this world Christ is our only true light. It reminds us that here we walk in darkness, the metaphorical equivalent of the text and sermon’s wilderness. It asks for the one to be reunited with the 99, and the perfect 100 to find the eternal joy. And it asks that we might be a part of that. Beautiful hymn. 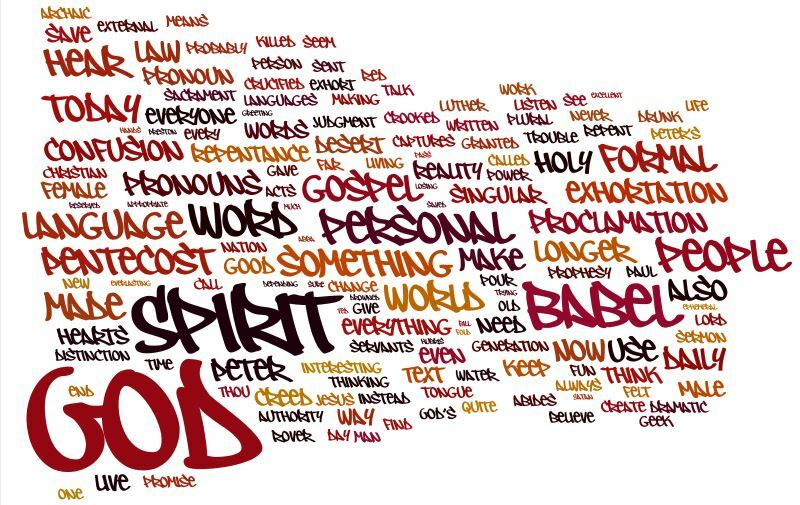 Pentecost, especially in the readings this year, is a day about language. For all we depend upon it, language is something that we don’t really think much about. We let writers and preachers do that. But if we don’t have the language for something there is a question how long it can actually exist, or if we can truly experience it. That is one of the spurs for stealing words from other languages – to experience and describe experience more precisely. 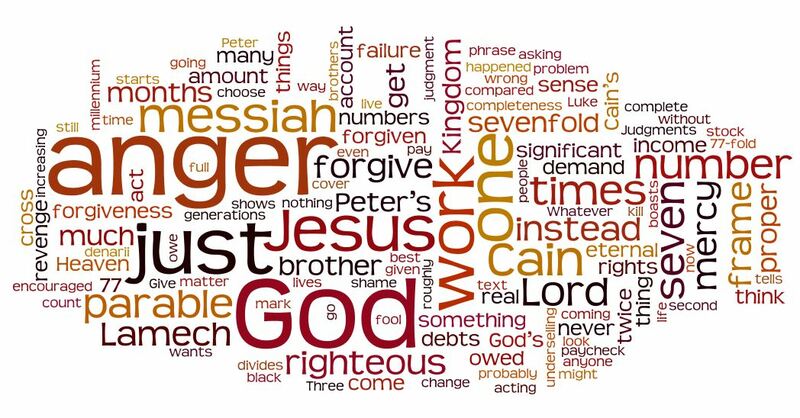 One of the deep lessons of Babel is that when language breaks down, that is God’s punishment. Babel is God’s Punishment, Pentecost is God’s salvation. The Jewish Pentecost was the receiving of the law at Sinai. That is the start of our salvation. It starts to make things clear, but the law itself has no power. That is this later Pentecost, when the Spirit is poured out. The title comes from the diagnosis of a Babel and a call to a new Pentecost. Our concluding Hymn is my favorite Pentecost one. LSB 500, Creator Spirit, by Whose Aid. The text is an ancient chant from the 8th century that comes to us through John Dryden the English poet. It displays both a sacramental view of the world and worship. At the end of verse two: Your sacred healing message bring, to sanctify us as we sing. But the jewel of it for me is verse three in how it describes the work of the Spirit abiding in us. The glory of the Trinity. Through the working of the Spirit, through His sanctification, we receive the eternal truth which is Jesus Christ. Receiving Christ and repenting, we then seek to follow him, to put into practice the love we have been give. And we do this because of our hope in the resurrection, that we might see the Trinity face to face. Just a beautiful hymn that maintains a bit of its chant origin.